Roland AT90SL toporgel met volpedaal! Schitterende Atelier AT-90SL voor een aantrekkelijke prijs. 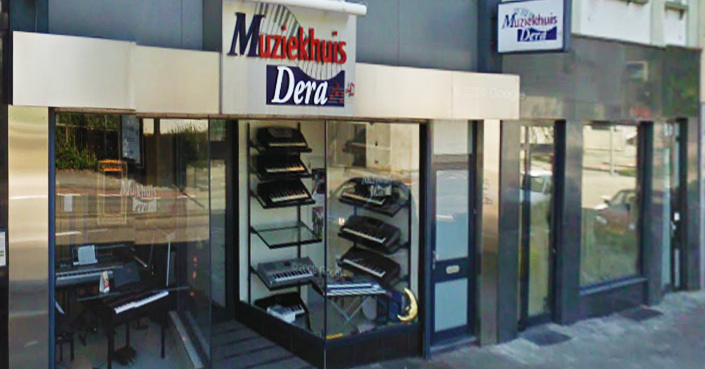 Tip: Sluit een Ketron SD40 Arranger Module aan op deze Atelier en je hebt een modern, hedendaags orgel met de laatste snufjes. De combinatie Live Styles van Ketron SD40 met de mooie lower layers van deze Atelier maken de begeleiding zeer vol. 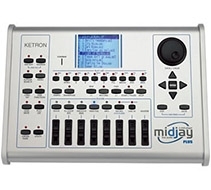 De nieuwste soloklanken en samples van de Ketron afwisselen of combineren met de Atelier sounds maakt dit instrument helemaal up to date! 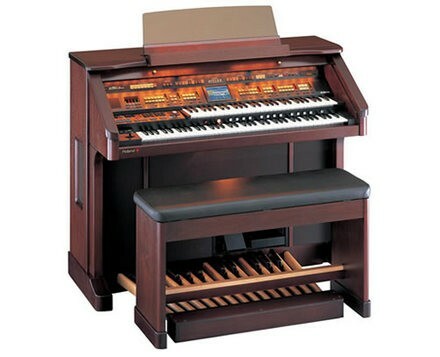 Elegant Design Worthy of a Flagship AtelierThe AT-90SL is based on a traditional organ console design and is impeccably crafted from the finest American woods. The elegant dark walnut cabinet features an illuminated console panel and 25 wooden pedals, which cover a wide range of registers and free you from the common single-octave limit. 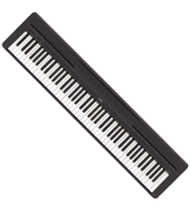 An adjustable music stand is also included for easy sheet music positioning. 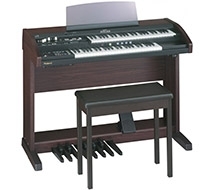 A Full Compliment of High-Quality Organ SoundsThe AT-90S lets you fully enjoy the highquality organ sounds that form the foundation of organ music: jazz organ, pipe organ and theater organ. 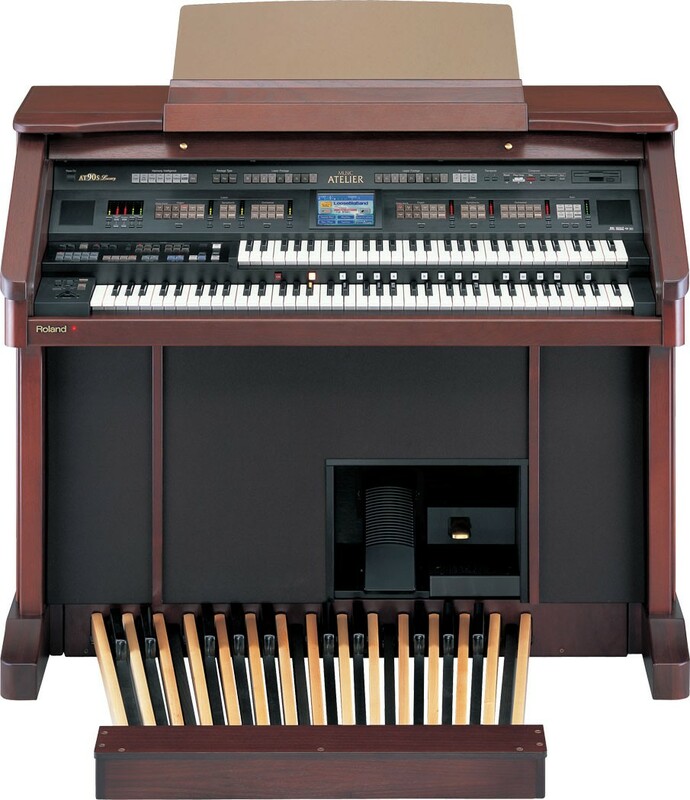 And unlike other Ateliers, the AT-90S is equipped with a footage sound source that combines ranks of different lengths to produce a rich, full-bodied sound¡ªjust like a real pipe organ. There¡¯s even a Digital Harmonic Bar function that can modify the volume balance of each footage for flute-type voices. 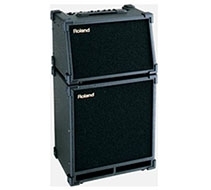 New Features and Functions Combine for Incredible PerformanceThe AT-90S features a variety of onboard effects including rotary, sustain and enhanced reverb based on Roland¡¯s RSS (Roland SoundSpace) technology. A built in speaker provides incredibly rich sound, while Auxiliary output jacks for the RSS ambiance can be used to connect the AT-90S to an external audio system, making it possible to enjoy the rich ambience of a concert hall or cathedral right in your own home. Simplified Front Panel LayoutThe AT-90S front panel is designed with a simple, straightforward button layout so that players will feel comfortable from the moment they first sit down. 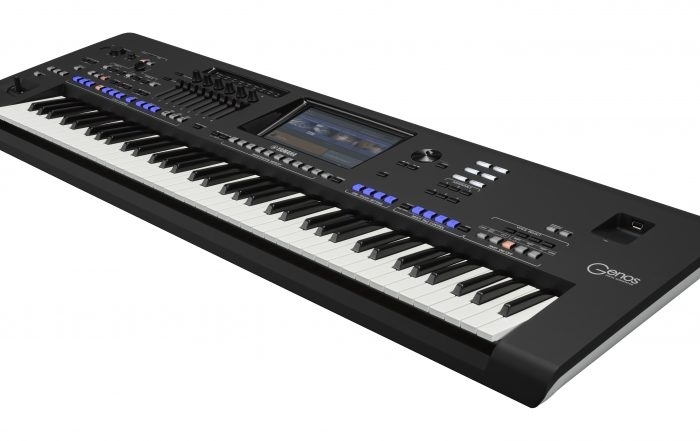 A large, clear color touchscreen makes it easy to access the many exciting features of this advanced, yet intuitive instrument. 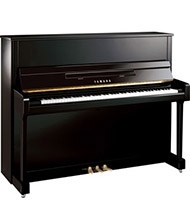 Inspiring New Sounds to Release Your Creative PotentialIn addition to organ sounds, the AT-90S features stunning pianos, strings, brass, guitars and more. New Active Expression Sounds add a highly expressive touch to your performance, from the unique fortes of brass and woodwind instruments to the subtle harmonies of layered organ sounds. 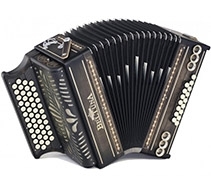 Diverse Music Styles to Expand Your Creative PotentialOne of the AT-90S¡¯ greatest features is its wide range of music styles (rhythms and performance patterns), which were produced by professional musicians from around the world. Create lush accompaniments using the Big Band or March styles, or use a simple acoustic instrumental style to complement a vocal soloist. These styles are so realistic, it feels like you¡¯re playing with a live band! The AT-90S also has a variety of ¡°Style Orchestrator ¡± functions that add diversity to the accompaniments based on the selected style. Helpful Features Make It Easy to Sound Great! 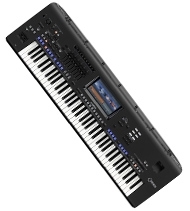 The LCD panel also displays musical sequences for easy composition and arrangement with the onboard multitrack recorder. 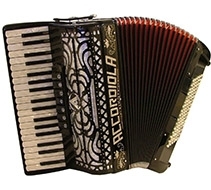 Features like these are only found in a genuine Roland Atelier like the AT-90S. Manuals/PedalsManualUpper: 56 notes (C3-G7), Lower: 76 notes (E1-G7)Pedalboard25 notes (C2-C4)PedalExpression Pedal, Damper Pedal, Two Foot SwitchesSoundSound GeneratorConforms to GM2/GM/GS/XG liteMax. Polyphony256 voicesVoices421 Voices (included 31 Active Expression voices)Drums/SFX Sets18 Drum Sets/1 SFX SetManual Percussion Sets14 setsFootage VoiceFlute, Pipe, TheaterEffectsRotary Sound, RSS Reverb, Sustain, Glide, Pitch Bend, Vibrato, Lower Voice HoldAuto AccompanimentRhythms252 rhythmsDisk/User Rhythm16 rhythmsRhythm CustomizePattern editing of the internal rhythms (Drum Set, Beat, Tempo, Note)Musical ContentsOne Touch Program4,032 settingsMusic Assistant2,000 settingsQuick Registration188 settingsDemo Songs28 songsOther FunctionsRegistration Memories12Harmony Intelligence24 typesComposerTracks7Note StorageApprox. 40,000 notesSong LengthMax. 999 measuresTempoQuarter note = 20-500Resolution120 ticks per quarter noteRecordingRealtime (Replace, Punch In/Out, Loop)NotationDigiScore (Score magnification, Lyric display, Part adjustment, Note name display, Clef adjusment)FunctionsTrack Mute, Bouncing Ball, Lyric DisplayDisk Drive3.5 inch micro floppy disk drive (2HD/2DD)OutputRated Power Output10 W + 10 W + 60 W + 60 W + 100 WSpeakers5 cm x 4 (Tweeter)8 cm x 2 (Full Range, Small)16 cm x 4 (Full Range, Large)30 cm x 1 (Woofer)DisplayGraphic 320 x 240 dot color LCD with touch screenConnectorsHeadphones jack (stereo), Audio Output jacks (L/mono, R),Aux Out jacks (L/mono, R), Audio Input jacks (L/mono, R),Mic Input jack, MIDI connectors (In, Out), Computer connnector,Video Out, Pedalboard Connector, AC InletPower Consumption380 WFinishDark WalnutAccessoriesOwner’s Manual, 3.5 inch micro floppy disk (2HD blank disk),Music Style Disk x 3, Power Cord, PedalboardSize and Weight ( Total )Width1,374 mm54-1/8 inchesDepth999 mm39-3/8 inchesHeight1,349 mm53-1/8 inchesWeight193.6 kg426 lbs. 13 oz.